If you would like to reach Joseph B. LaRocco or one of his staff, you can either use the form to the right or call him at 203-599-1928. Please feel to contact us with any questions you may, even if you are not an existing merchant client of ours. We are happy to help you with any questions you may, provide a competitive quote to help you save money or help you with a credit card fraud situation you have encountered and are now dealing with through no fault of your own. 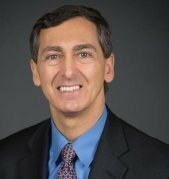 Joseph B. LaRocco is also and attorney and has advised businesses in the electronic payments industry regarding ISO agreements, merchant services disputes and breach of contract actions. Mr. LaRocco is a lawyer practicing in Connecticut.